- Began as "Screen News". - Changed name to "New Screen News" in 1938. - Continued as "Movie News". The 12 MARCH issue was the last ever issue of NEW SCREEN NEWS. 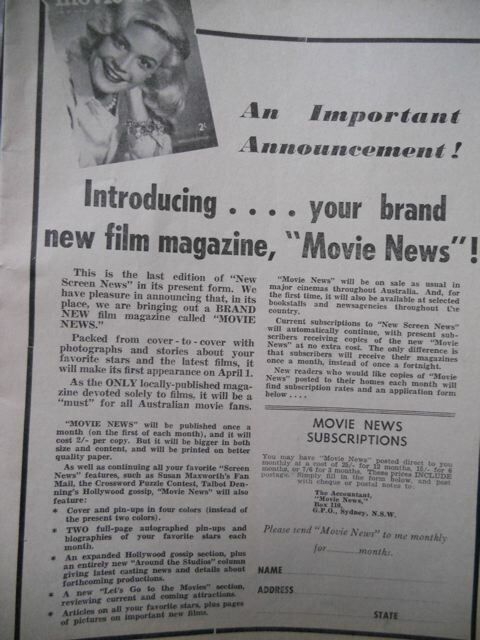 The magazine was replaced by MOVIE NEWS.